My skin is super sensitive so I find I have to be careful what I put on it and after having a bad experience with some Biore cleanser back in March, I was left with extremely dry red acne for a couple of weeks, so popped into Boots and to the Origins counter. I had only used one product from them before, a mask, and remembering how good it was, I decided to go back and try some new pieces. Their products are made using plants and containers from recyclable resources – so all very natural and good for sensitive skin like mine. After my lovely experience at the Origins counter and with the products at home, I decided to go back and purchase the full size bottles – it was nice to get my skin back to normal! The products are really kind to sensitive skin like mine, so leave your skin feeling really clean but soft. In addition to the above, I also use the Origins Skin Brightening Face Polisher and Active Charcoal Mask oncd a week, to exfoliate the skin and leave pores clear and skin brightened. Over the past few months, I’ve not had my Origins products and have instead been using anything I could find in my cupboards and the difference is noticeable – my skin has really taken its toll and was left looking angry and red again. So this week I have gone back to my trusty Origins and Clinique products and have now learnt the lesson that good skin does need the investment, and although it does become quite costly it is totally worth it in the end! My Friday favourite for this week goes to the Peak District National Park. Last Saturday I visited Sheffield for a friend’s birthday, and having had a fun night celebrating with everyone, the next day we all decided to take a walk to the National Park to cure our hangovers. 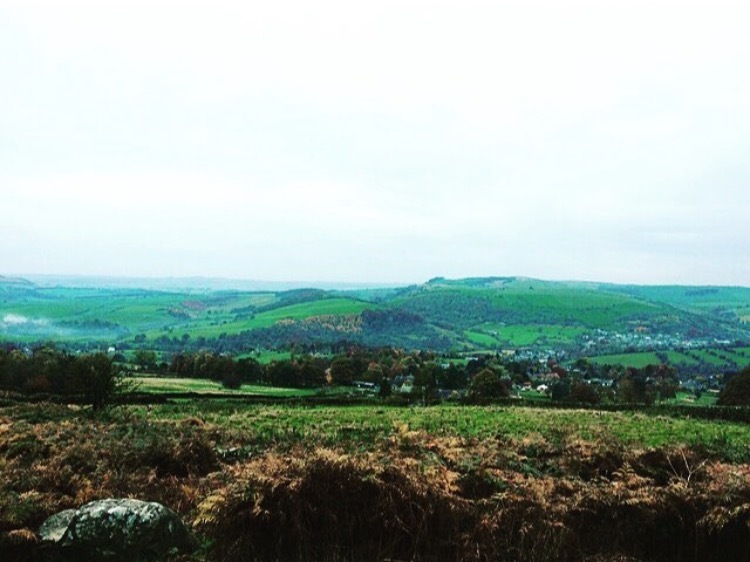 The views from the top were amazing and it was refreshing to go for a walk in the countryside, especially since I am accustomed to Manchester city centre living! We finished the walk with a roast dinner at a quaint pub in the park, which was a great way to end a fab weekend away. My Friday favourite this week is my new nails. I’ve been obsessing over mirrored nail art on Instagram for at least the last year, so I was thrilled when my nail place started doing it. The effect is created by applying a chrome powder over coloured gel nail polish, which then sets to create a super shiny, metallic finish. 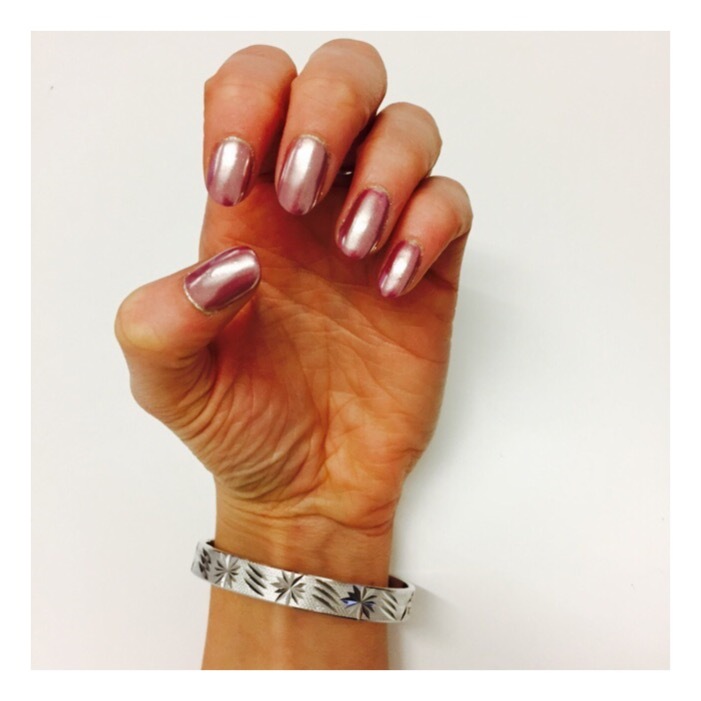 I opted for chrome over pink which created a gorgeous rose gold, but you can also get amazing silver and icy blue shades. I got my nails done at Love Beauty by Monika Mohindra (based in Primark, Manchester), and it cost an additional £8 for the chrome finish on top of a gel polish. There’s not much better than onesies, pizza, red wine and TV on these cold Winter nights – ‘tis the season for reality TV, but The Apprentice is the winner in my eyes and for that reason, I have to follow in the footsteps of Amanda in this post and declare it my Friday favourite. There is something about reality TV that I think we all love, whether we admit it or not, and whether it’s laughing with the cast, or at them! 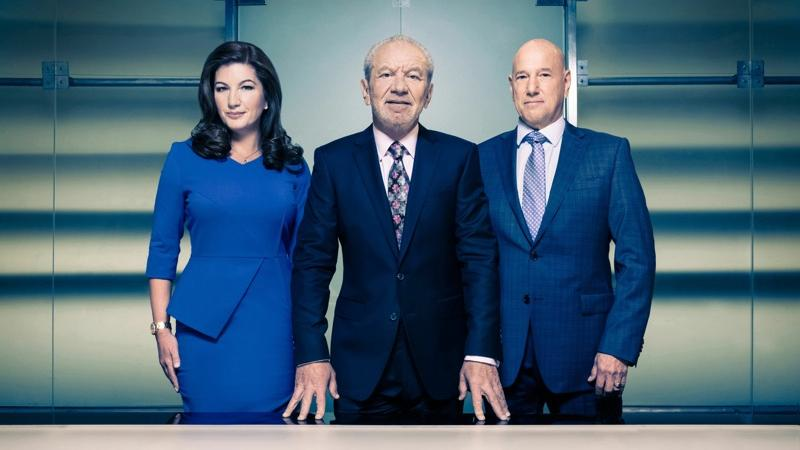 What I like about The Apprentice, however, is that unlike most reality TV shows (call me naïve), the contestants are in it for reasons other than fame and stardom. That, and we all like to see even the shrewdest businesspeople acting fools and making mistakes – I’m sure I’m not the only one who imagines myself in those positions, how I would handle the tasks, and where in the whole of London I could find a Moroccan tagine (John Lewis, seriously guys). I’m currently rooting for Grainne, because whatever she’s faced with, she stays calm and collected, and seems to make good decisions, which I’m not sure can be said for most candidates! That said, I have to agree with Amanda in rooting for our fellow Northerners, Jess is hilarious and I’m hoping to see more of her in coming episodes. 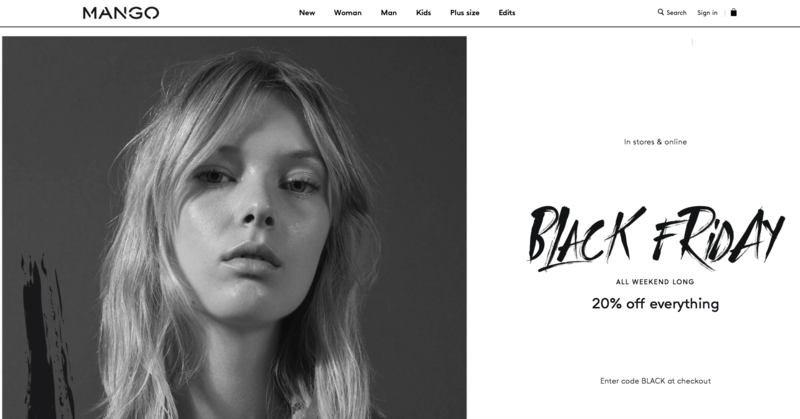 Call me predictable, but my Friday favourite this week is, of course, Black Friday! It’s not that I have a shopping addiction, but I do really like new clothes and shoes, so a day jam-packed full of discounts is right up my street! I’m not going to do a round-up of the best deals – Ellen’s already done that, here – but I must say that I’m particularly loving ASOS (the wish list function is a dream – I’ve been saving products for weeks and with one simple click of the button, I can shop my picks) and Mango just because, well, it’s Mango! I plan on spending my entire lunchbreak, and most of my evening, spending away – and I might just snap up one or two Christmas presents, too. Maybe. Let me know what you buy!